A Day in the Life is a new series on JustListed where Kelly Leighton spends some time with a Realtor® and writes about their day-to-day business and lifestyle. John Esser believes in going the extra mile. As I trailed behind the Camp Hill-based agent in a vacant soon-to-be-listed townhome outside of Harrisburg, he changed lightbulbs, folded towels, replaced a shower curtain and adjusted window shades. The home, to be listed for $140,000, is one of his less expensive homes, but Esser didn’t take any shortcuts. “I’d rather put in 110 percent and sell the property,” he told me as we waited for the professional photographer to come. He carefully goes through each room, making small adjustments to make the house look better. He removes a spring wreath, noting it could date the photos, and adjusts curtains to let in some sunlight. 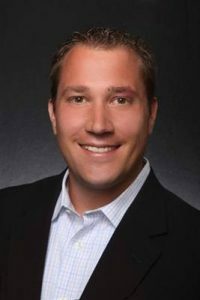 Born and raised in central Pennsylvania, Esser, 39, has been in the business for 13 years with RE/MAX Realty Associates. After graduating from University of Delaware with a degree in finance, he worked as a mortgage originator for a few years, buying multifamily properties on the side to fix up and rent out. But he hated his day-to-day job. He was unemployed with a few properties to pay for. His dad had retired and talked about getting a real estate license, and Esser, not wanting to be left behind, took the classes with him and got his license as well. And he’s been in the business ever since. After setting up the townhome and instructing the photographer, Esser puts a lockbox on and we head to our next visit, a walk through at an $850,000 home in Camp Hill. It’s a bit of an unconventional walk-through, as the sellers are remaining in the house for an extra six weeks, but I learn all about the buyers’ future plans for renovating the home, which is a bit dated. We then hop back in the car and head to the settlement. “The biggest problem in the industry is lack of communication,” Esser tells me in the car. He has a hiccup with a settlement that is supposed to be signed tomorrow. He calls the other agent and explains the situation, asks for her patience and promises to follow up in two hours. While the majority of his business comes from referrals, when he started, Esser started from scratch. He talked of reading the classified ads in newspapers, looking for owners selling their home. As we head to the closing, he tells me he often listens to motivational podcasts in the car while he’s on the go, looking to constantly expand his life. “If you’re not growing, you’re not challenging yourself,” he said. At the closing, the buyer grumbles about all the paperwork he has to sign. Once the mound of paperwork is finally finished, the buyers say goodbye and we sit down to discuss tomorrow’s settlement, and problem-shoot what to do if the settlement isn’t going to happen. He has another walk-through tonight at 5:30, and then he’s heading home to his farm in Dillsburg, where he lives with his wife, Jamie, also a Realtor®, and a plethora of dogs, horses, chickens, swans and everything in between. I ask him if his dad is still in the industry, he laughs and tells me no, he thinks it was a ruse. But it got him moving and changed his life. Love to hear the stories of true Professionals in our industry! Keep leading by example John! Nice article. A couple good points from John. I enjoy reading these types of profiles to see what other agents are doing and saying. A quick read with a few good tidbits. Look forward to more of these. Yes, a great read. I often wondered if I was the only one cleaning up a property before an Open House. Always carry a broom and dust cloth. Good work John. We need more agents like you setting the standards. Loved reading this article, John. Great article. Confirmed…no two days are ever alike. No two transactions are the same. That’s what makes the career an adventure. Thanks John. All the best. Great article John! It was always a pleasure working with you in past transactions. John understands what is missed in the industry by many….communication! Good job to Realtor of the Year! I agree with John. It’s the little but important things we do as Realtors that add up to a successful transaction. Texting can be convenient but especially over-rated when you are trying to really communicate with clients and your fellow Realtors. Good job John! Why Use a Realtor®? Find a Realtor® How to Become a Realtor® Have a Problem? How do I download a standard form? How do I find a Realtor®?